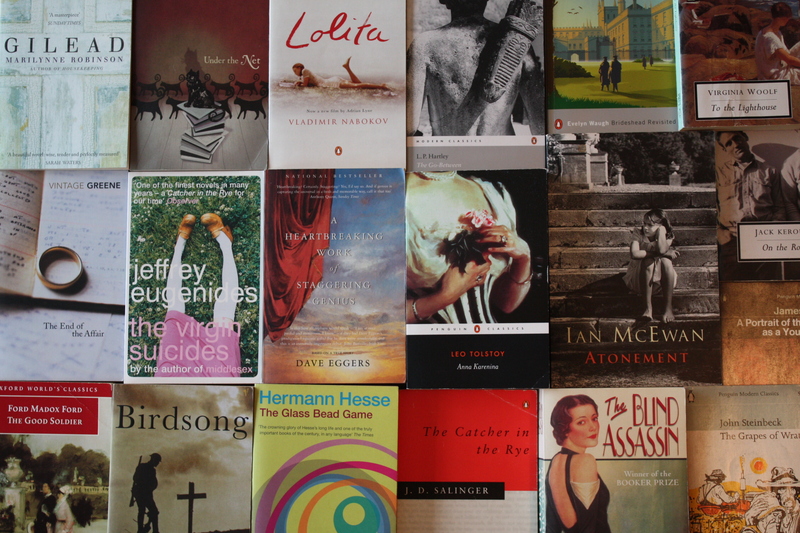 Whilst I certainly did enjoy reading books throughout my childhood and early teenage years, I think that books started to make a more significant impression on me from the age of about 15 or 16 onwards. During the two or three years before going to university I read such books as George Orwell’s Animal Farm, William Golding’s The Lord of the Flies, J. D. Salinger’s The Catcher in the Rye, Albert Camus’ The Stranger, Graham Greene’s The Power and the Glory, James Joyce’s A Portrait of the Artist as a Young Man, F. Scott Fitzgerald’s The Great Gatsby, and Jack Kerouac’s On the Road. I found each of these works extraordinary and each left me pondering their contents for a long time afterwards. The reason I mention this here is that another key book that I read during this period was Sophie’s World, by the Norwegian author Jostein Gaarder. 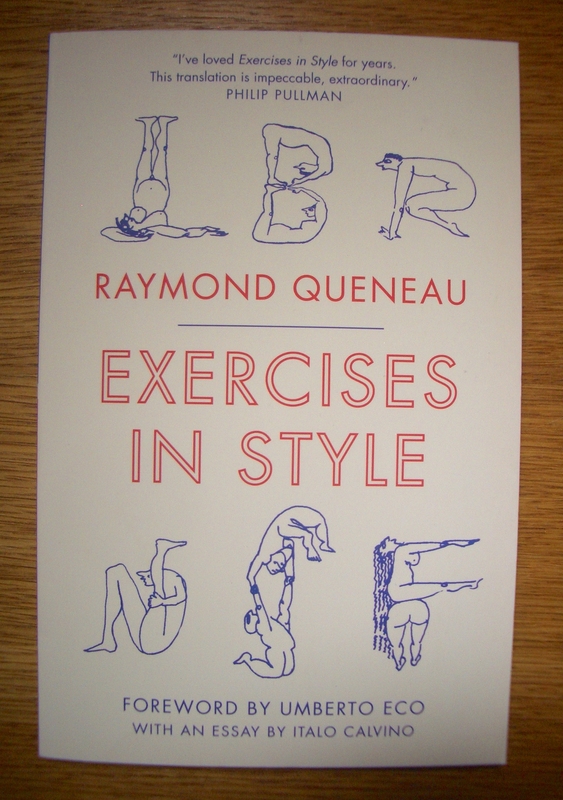 If you have not come across this book before, it really is quite something. Essentially, it is a pretty large and comprehensive history of Western philosophy (there is even a 9 page index at the back), told in novel form. Now, while that might sound like a terrible idea, the incredible thing is that it really works. The amazing thing is that the philosophical content of the book is by no means light-weight or superficial. You really do get to the meat of what different philosophers and schools of thought were all about (spread over 427 pages), yet at the same time, it is also incredibly readable. I would certainly describe the narrative as a real page-turner. And it seems that I am by no means the only one to love this book. 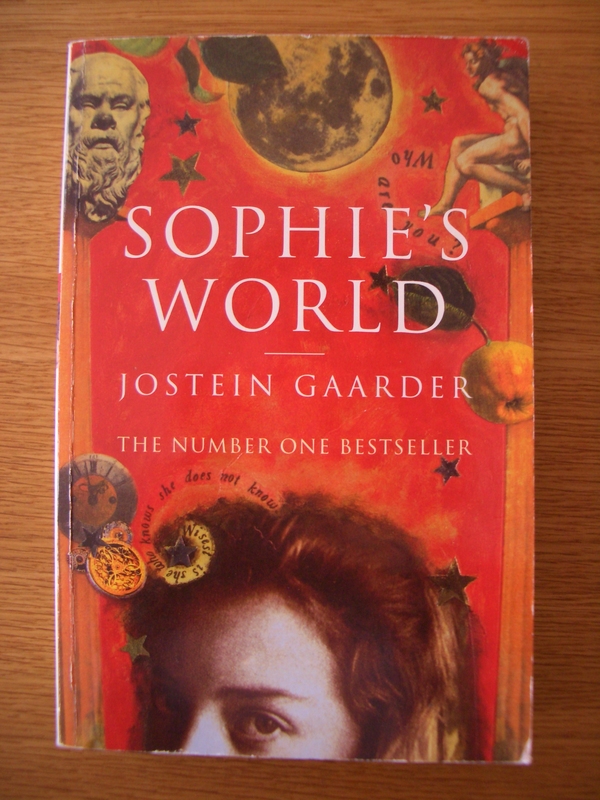 In 1995, which was when the English version of the novel was published, Sophie’s World was reported to be the best-selling book in the world that year. That’s quite an achievement for something that many would have imagined would only have had a very small niche market. Anyway, 17 years after first reading the book, I decided I’d like to re-read it in the New Year, so this I did, and I found it every bit as good as I had remembered. I highly recommend it to anyone with even a passing interest in the philosophy of ideas. If you liked this, you might also enjoy The Solitaire Mystery or The Christmas Mystery, which are also philosophical novels written by the same author. I cannot remember where I first heard about this novel, but when I did I knew immediately that I wanted to read it. It was written back in 1942 by the Hungarian writer Sándor Márai, but was only published in English in 2001. Since then a new generation of readers has been discovering this forgotten writer and his great work. So what’s the book about? Here is the synopsis from the back cover of my edition: As darkness settles on a forgotten castle at the foot of the Carpathian mountains, two men sit down to a final dinner together. They have not seen one another in forty-one years. At their last meeting, in the company of a beautiful woman, an unspoken act of betrayal left all three lives shattered – and each of them alone. Tonight, as wine stirs the blood, it is time to talk of old passions and that last, fateful meeting. What follows is an intense and brilliantly executed exploration into the limits of friendship, love and betrayal. Our narrator is a 75 year-old retired general, who has been living in his remote castle in near seclusion for many years. The novel focuses on a surprise visit from the general’s old friend, Konrad, whom he has not seen for 41 years. The two men sit down to an elaborate dinner together, and as the food is served and the wine flows, they mull over the events that occurred all those years ago. We learn that the last time the two men met was in the same castle, indeed the very same dinning room, but that back then they were also joined by a third person at the table: the beautiful Krisztina. There are clearly unresolved issues between the two men, and they both know that they need to address these if they are ever to find any kind of peace or closure before they die. Life becomes bearable only when one has come to terms with who one is, both in one’s own eyes and in the eyes of the world. This is a serious, sombre yet very human book. It offers a very closely studied account of what is contained within the hearts of men; of their need for relationship, yet also speaks of the challenges that ever threaten to break up this relatedness. 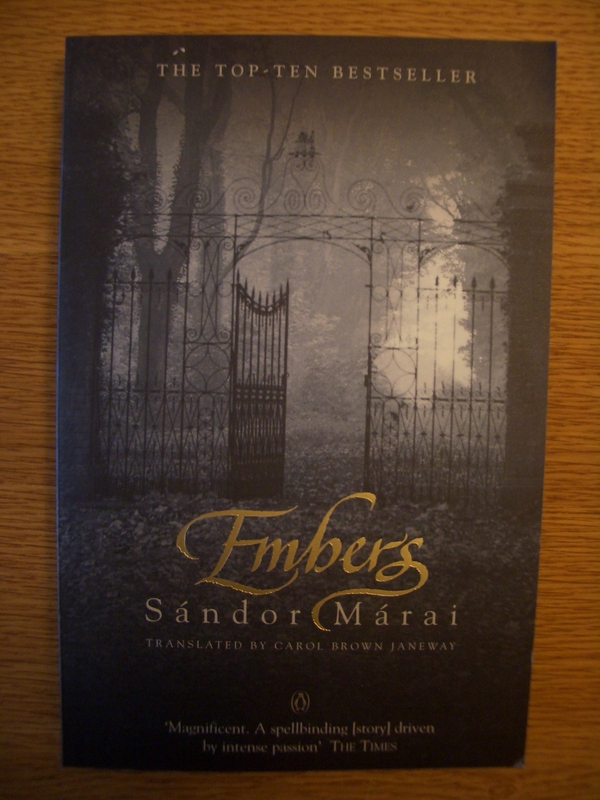 I should also add that it is hugely compelling to read, as Sándor Márai structures things perfectly, bringing in new twists just when you think some kind of closure looks like it may be possible. A great novel, masterfully written. If you liked this, you might also enjoy: The Remains of the Day by Kazuo Ishiguro or Atonement by Ian McEwan, which both also deal with reminiscences of a bygone era and investigate the complexities of past relationships. What do you think? Do you also believe that what gives our lives their meaning is the passion that suddenly invades us heart, soul, and body, and burns in us forever, no matter what else happens in our lives? And that if we have experienced this much, then perhaps we haven’t lived in vain? Is passion so deep and terrible and magnificent and inhuman? For my next read I decided that I wanted something fairly easy-going and fun. 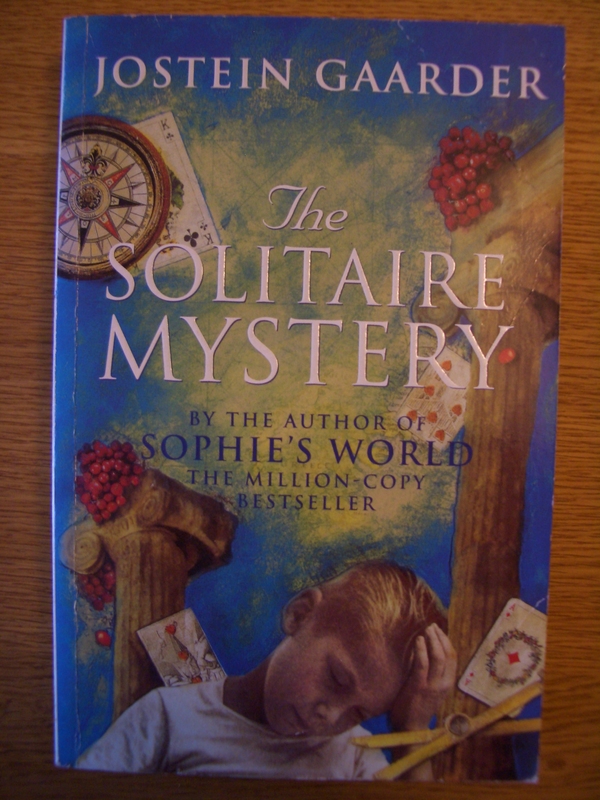 So, having enjoyed reading Jostein Gaarder’s The Christmas Mystery over Christmas, I decided to pick another of Gaarder’s books off the bookshelf – this time The Solitaire Mystery. This book has several similarities to The Christmas Mystery, in that it is told from the perspective of a child; it contains a story-within-a-story; it spans different points in history; and it is really about a quest for truth and for answers. It also intertwines several key philosophical questions and concepts into its narrative. Gaarder has a real knack of being able to take complex ideas and present them in really easy-to grasp narratives that are accessible for teenagers upwards. Our protagonist here is the twelve-year-old Hans Thomas, a Norwegian boy who is accompanying his father on a long car journey to Greece in an attempt to to find his mother. Both father and son have something of the natural philosopher about them and are constantly in wonder about their own existence and the world around them. This trip to Athens thus provides a perfect opportunity for them both to learn more about themselves, each other, and their shared heritage. En route, the pair also meet some curious characters, including a dwarf with cold hand, an elderly baker, a joker and a fortune-teller. As with The Christmas Mystery, this book contains lots of short chapters, and typically you read one chapter containing the narrative of Hans Thomas’s trip south with his father, followed by a chapter of the story-within-a-story – in this case, the tale of Baker Hans, who became shipwrecked on a strange island back in 1842. This narrative structure works well here, and certainly keeps the pace and intrigue levels high. Time is turning me into an adult. Time is also making the ancient temples crumble and even older islands sink into the sea. Was there really a sticky-bun book in the biggest of the four buns in the bag? No question crosses my mind more often. As Socrates said, the only thing I know is that I know nothing. But I am positive there is still a Joker roaming around the world. He will make sure that the world never rests. Whenever possible – and wherever possible – a little fool will jump out wearing long donkey ears and jingling bells. He will look deep into our eyes and ask, Who are you? Where do we come from? I thoroughly enjoyed reading this novel, and would heatedly recommend it. It also makes me want to re-read Sophie’s World, especially as I can remember very little about it now (it was fifteen years ago when I read it). If you liked this, you might also enjoy: The Christmas Mystery or Sophie’s World, both also by Jostein Gaarder. Back when I was all of about 17 years old, I read the fantastic novel-come-philosophy-primer, Sophie’s World, which I loved both for its accessible introduction to so many key ideas and also for its great storytelling. Not long afterwards I picked up this other novel by Jostein Gaarder, The Christmas Mystery, in a charity shop and it’s been sat on my bookshelves ever since. However, after finishing my last book a few days before Christmas, I thought what better book to read at this time than this? Jostein Gaarder uses the story-within-a-story device to intertwine two narratives: one of Joachim, a Norwegian boy who finds a magic advent calendar, and one of Elisabet, a Norwegian girl who traveled gradually across land and also back through time to witness the birth of Christ. There are twenty-four chapters: one for each day of advent. In each chapter, as the boy opens the next door of the advent calendar, a carefully folded piece of paper falls out, containing the next installment of Elisabet’s journey. This way, the different plot lines unfold steadily and eventually get woven together. I think that The Christmas Mystery is really aimed at teenagers / young adults, however I certainly enjoyed reading it, and it has made me also want to read The Solitaire Mystery at some point (which we also have sat on our bookshelves). If you liked this, you might also enjoy: The Solitaire Mystery or Sophie’s World, both also by Jostein Gaarder. I cannot remember where I first heard about this novel, but a year or so ago, I found a copy in a local charity shop, and it has been sitting patiently on our bookshelves ever since. It tells the tale of Fibrizio, the Prince of Salina, in the latter part of the nineteenth century. The Prince is the head of an ancient, noble family and still owns some splendid houses and thousands of acres of land. However, things are changing rapidly in the world around him. With Garibaldi’s landing in Sicily and the massing of the ‘red shirts’ (the beginnings of what became the Italian Risorgimento), the Prince has to decide whether to try to resist this great upheaval or to stoically accept the changes as they come. 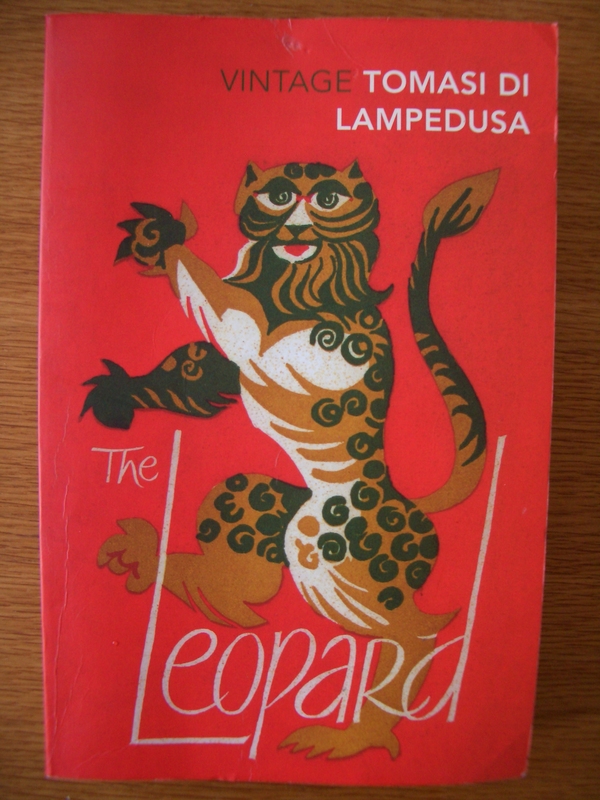 The author, Giuseppe Tomasi di Lampedusa, was himself the son of the Prince of Lampedusa, and this semi-autobiographical novel is, in a way, a kind of eulogy to the dying breed of aristocratic Italians. The prose is rich, the settings old, grand and decaying. The ballroom was all golden; smoothed on cornices, stippled on door-frames, damascened pale, almost silvery, over darker gold on door panels and on the shutters which covered and annulled the windows, conferring on the room the look of some superb jewel-case shut off from an unworthy world. It was not the flashy gilding which decorators slap on nowadays, but a faded gold, pale as the hair of certain nordic children, determinedly hiding its value under a muted use of precious material intended to let beauty be seen and cost forgotten. Tancredi and Angelica were passing in front of them at that moment, his gloved right hand on her waist, their outspread arms interlaced, their eyes gazing into each other’s. The black of his tail-coat, the pink of her interweaving dress, looked like some unusual jewel. They were the most moving sight there, two young people in love dancing together, blind to each other’s defects, deaf to the warnings of fate, deluding themselves that the whole course of their lives would be as smooth as the ballroom floor, unknowing actors set to play the parts of Juliet and Romeo by a director who had concealed the fact that tomb and poison were already in the script. Neither was good, each self-interested, turgid with secret aims; yet there was something sweet and touching about them both; those murky but ingenuous ambitions of theirs were obliterated by the words of jesting tenderness he was murmuring in her ear, by the scent of her hair, by the mutual clasp of those bodies destined to die. These and other similar passages are highly emotive and lend the novel a certain gravity, yet there are also lighter moments, and the overall picture of Salina, its environment and its inhabitants, is very striking. 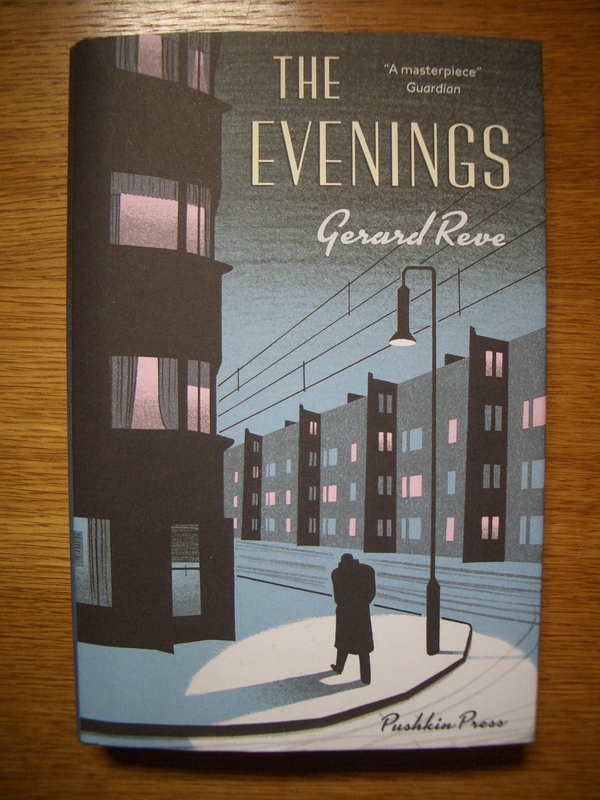 L. P. Hartley is quoted on the back cover of my edition, saying: “Perhaps the greatest novel of the century“. Now, I wouldn’t go that far, by any means, but it is a fine book nonetheless. Plus I can well imagine why it was so beloved by L. P. Hartley, as it deals with some of the key themes so important in his work, namely the decline of the old feudal system, great social change and the last days of the once noble aristocratic families. So, if you liked this, you might also enjoy L. P. Hartley’s wonderful novel, The Go-Between, which is set during the dying days of the English aristocracy.